AutoGrid, a leader in Energy Internet software, recently announced that it has raised $20 million from a consortium of global strategic investors that includes the utility-backed fund Energy Impact Partners (EIP) and Envision Ventures. Earlier this year AutoGrid was recognized by Bloomberg New Energy Finance as a New Energy Pioneer 2016, and was named a Grid Edge 2016 Award winner by Greentech Media. These awards followed 12 months of achievement, including 16 new customer agreements and a 350 percent increase in distributed energy resources under contract; recognition of the company by the World Economic Forum as a Technology Pioneer of 2015, and inclusion in the Cleantech 100, the Red Herring Top 100 North America and the Smart Grid News list of 2015 Smart Grid Companies to Watch. REM talked with Dr. Narayan to find out more about Energy Internet technology and how it can enable global utilities, electricity retailers and energy service providers to build renewable-friendly networks that integrate and manage distributed energy resources, thereby making the grid cleaner, more reliable and more affordable. At AutoGrid, we are turning data into power. What this means is that we are developing software that empowers our customers -- utilities, electricity retailers, energy service providers and energy project developers -- to become more competitive in the market, offer new services to their end customers, better engage with those customers and increase the value of their energy assets. Our software can do three key things. First, it can be used to balance supply and demand across a very large network of distributed energy assets. Second, it can be used to improve customer engagement. Utilities can engage customers more deeply and more dynamically by connecting to Energy Internet assets and devices that their customers have been buying and deploying in their homes, buildings, and factories. Third, our software can help utilities improve operations. They can use our software to collect, monitor and analyse the data coming in from each and every energy asset on the grid—both supply side and demand side— and use this data to improve utilisation of these assets. For example, they can use these data streams to determine if an asset is not operating properly and might soon fail, and then conduct predictive maintenance to fix the problem before it occurs. By the way, when I talk about utilities, it is important to remember that while in the past utilities owned the generation, the distribution wires and the relationship with customers, increasingly the market is shifting away from vertically integrated utilities to a new “energy service provider” model. In this model, one company might own the generation, another might own the wires, and yet another company may be serving the customers. This change is increasing competition in energy markets, making it even more important for participants to streamline their operations and drive deeper engagement with their customers who now have more choice on how they want to receive their energy. What is your role, or what will your role be, in helping the world to transition as seamlessly as possible to a renewable energy future? AutoGrid’s main role is going to be increasing the productivity and utilization of energy assets, whether they are owned by a utility, energy service provider, electricity retailer, energy project developer, commercial end-customer or residential end-customer. This includes expanding the use of demand-side programs, building virtual power plants, and expanding the use of microgrids, energy storage, electric vehicles, solar, wind, combined heat and power (CHP) and other new types of energy assets. That is all part of a bigger trend in the industry towards what we call “flexibility management.” As renewable deployment grows, the marginal costs for energy production goes down (since you don’t have to buy fuel for them). In fact, over the long-term, the marginal cost of electricity in a renewable world goes down to zero – or very close to it. In this new world, the role of energy services companies expands, shifting from delivering electrons to end customers to being true value-added energy service providers. For example, they will increasingly seek to add value by helping their customers improve their energy efficiency and utilise new programs and energy assets to reduce their energy costs. In this world, where energy prices are really low, one of the key models that is emerging is around balancing supply and demand, or flexibility management. Flexibility management involves taking every asset which has the ability to be controlled, ramped up or ramped down, whether it is a CHP plant, an industrial lighting system, a residential energy storage system or a smart thermostat, and using big data analytics and predictive controls to predict, optimise, and control them in a way that balances supply and demand on the grid. The companies that will win in this new world will be the ones who enable their customers to take advantage of this opportunity to participate in balancing a decentralised, renewable-friendly grid and create more value from their energy assets. We enable companies to do this with software that can optimise millions of distributed energy assets in real time, because these assets can go online and offline, and can be ramped up or down quickly. Being able to do this type of optimisation in real time, and at scale, is where we are focused. What are the main tools you are using or will use to achieve this, for example the Software-Defined Power Plant? Built on our Energy Internet Platform, Virtual Power Plants solve the problem of balancing supply and demand with software. With a Virtual Power Plant it really doesn’t matter if the electrons are coming from a solar panel, a wind farm, or an energy storage system as long as the electrons get to exactly where they are needed, when they are needed, and the grid is kept balanced. That is really one of the central problems our customers are facing and that is what we are focusing our expertise on. To be able to do this in real time and at scale, a few key problems that need to be addressed, which we have done with our architecture. One of those is that the system needs to be self-learning and intelligent, because conditions are constantly changing in different parts of the energy system, impacting supply and demand – wind speeds change, rain or clouds impact solar generation, customers leave or return home, factories’ production picks up or slows down, etc. The system needs to incorporate all of those changes —including those that are happening right now in real time and those that will happen one hour from now, 24 hours from now or some other time in the future – and then optimise a portfolio resources to respond to these changes. In some cases these resources may be directly controlled by the energy service provider, and in other cases their control over the resources is indirect, and they might need to offer an incentive to customers to activate their energy assets or change their behaviour. So all of the techniques we have incorporated and learned in the world of digital advertising and e-commerce regarding personalisation and understanding and influencing consumer behaviour need to be part of this system. That is one part. We call it ‘energy data science’, but it’s really about bringing in all these machine learning, artificial intelligence, network optimization and high performance numerical computation technologies to create an intelligent, self-learning system. The second thing we need to have in this system is the ability to scale to millions of devices and process trillions of data points in near real-time, and that requires big data technologies. The energy system is not only heterogeneous and distributed, but also needs to be managed and optimised in real time. Therefore, we need to incorporate the latest, most sophisticated and modern big data techniques if we want to collect data from millions of assets and use that data to update the forecasts needed to optimise the network in real time. In addition, not only do we have to understand what the system is doing, we also have to optimise and actuate the millions of energy assets that ramp up or down, or turn on or off at any given moment of time while keeping track of their individual constraints. That’s where modern techniques used for big data computing, such as NoSQL databases, in-memory stream processing, and massively distributed computation become necessary. It comes down to ‘speed and scale’ – enabled by the power of big data processing technologies that deliver the intelligence needed to optimise a massive energy network in real time. The third thing that is equally important, if not more, is modularity. There are many different types of assets that are getting deployed -- EVs, solar inverters, energy storage systems, lighting systems, CHP systems, backup generators. Utilities need to make the system truly plug-and-play, the way the Internet is, so that they (and their customers) can easily add new assets and devices into network. With true modularity we reduce the friction in the system and create more optimisation opportunities, because we can use one asset to offset another across the entire portfolio of assets. Modularity is very important; we provide that in our architecture and we also offer that in our business model - a Software-as-a–Service (SaaS) business model where customers can start with one specific type of asset or program and over time can add more capabilities without having to start from scratch every time, or take the risk of deploying a massive monolithic system from the very beginning. The system is fully compliant with open standards, meaning we can integrate practically any energy resource. We work with hundreds of energy asset and device companies, and if their assets or devices don’t support a standard we can build connectors and integrate their equipment into our system very quickly. So these are the three pillars of our technology: intelligence, scalability and modularity. These three things combined together allow us to both manage and optimise millions of assets in real time and also expand the number and types of assets integrated into the system over time. Most other software providers take a very hardware asset-centric approach, where they say “I am going to do something around storage” or “I am going to do something around EVs” and then they write software that only supports that particular type of asset. This creates a problem for utilities because now they are left with a hodgepodge of systems that don’t work together and are very costly to manage. But if you look at the problem of grid balancing, it’s a systems problem, consisting of a network of diverse assets – from CHP units to energy storage systems to lighting systems to solar invertors to smart thermostats. So we have turned the problem on its head by taking a “network-centric” approach, and by making this shift in our perspective, we have been able to provide a single system that can manage all types of assets across the entire network in a coherent and unified manner. If you want to effectively manage and optimise the overall system, you need to take a network-first approach, where the software optimises the assets to balance out supply and demand across the entire grid network or what we call the Energy Internet. The Energy Internet collects data from all these connected energy assets and continuously optimizes the network — resulting in a grid that is more renewable friendly, more efficient, and more reliable. Do you have a global presence or are you focused on particular countries? Our two main regions are Europe and the US, but we have opened an office in Asia with a few initial customers, and that market is going to be a major focus for us in 2016 and 2017. In the US we are working with a fairly large number of utilities and energy service providers. In Europe, our customers include large utilities like E.ON and Eneco, and we will be announcing additional customers soon. Europe is proving to be a great market for our technology, given the market dynamics, and we are seeing interest from utilities throughout the region. How is smart-energy in particular poised to change the way things are done in the world and what will be your main role in this? Smart energy is exactly what we are trying to enable, and our role will be to provide the “brains” behind this smartness. In this new, highly competitive world of distributed energy resources, our customers can instantly achieve global scale. They can start by implementing our platform for a specific application for a specific region, and then quickly scale this application to new customers or new regions, or add new applications to address new problems. We are continuously monitoring the changes in regulation, technology, business models, and can help our customers quickly adapt and benefit from this rapidly evolving landscape. Where do you think you will be in ten years’ time? I think there are a few transitions that are happening that are now irreversible. More and more renewables will come online. Energy storage costs will continue to decline. Markets will become even more competitive. And the grid edge – where all the action is – will become even more important than it is now. What does this mean? Well, like every other industry in the world, the energy industry will turn to software to solve its most difficult business challenges. Or to put it another way, we will transition to a software-defined energy network where data will be the new source of power. Dr. Amit Narayan is the Founder and CEO of AutoGrid, Inc. From 2010 to 2012, he was the Director of Smart Grid Research at Stanford University, where he led an interdisciplinary program related to modelling, optimisation and control of the electricity grid and associated electricity markets. Prior to founding AutoGrid, Dr. Narayan was the Vice President of Products at the publicly traded company Magma Design Automation, Inc. (Nasdaq: LAVA), where he led the product development and product management teams responsible for Magma’s flagship product in the design implementation area. 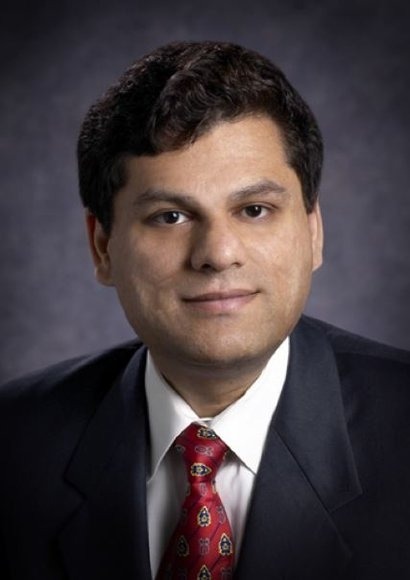 Prior to joining Magma, Dr. Narayan founded Berkeley Design Automation, Inc. (BDA), a venture-backed company in analog and radio-frequency semiconductor design software and served as its founding CEO and later Vice President of Engineering, responsible for all research and product development activities, as well as customer engagements. Under Dr. Narayan’s leadership, BDA saw its products adopted by over 100 semiconductor companies in the world (including 20 out of the top 25) and was successfully acquired by publicly Mentor Graphics Corporation (Nasdaq: MENT). For his work at BDA, Dr. Narayan’s received the EDN’s “Innovation for the Year” award in 2006. Dr. Narayan received his B. Tech. in Electrical Engineering from Indian Institute of Technology at Kanpur and Ph.D. from University of California at Berkeley. He has published over 25 papers about design automation, holds seven U.S. patents and is an active advisor to several startup companies in the Bay Area.